Handles car and light truck rims from 10” to 26” and 14” wide. 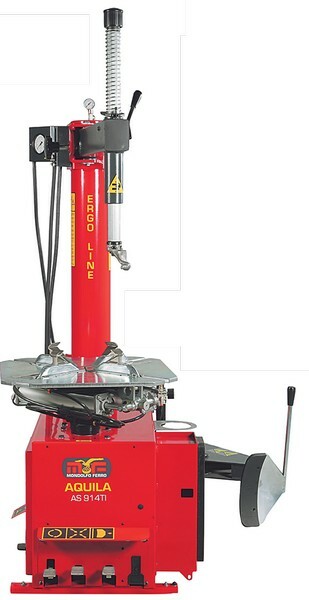 Compact machine which can be placed right up against the wall making it ideal for tighter spaces. 2-speed motor • Powerful double acting bead breaker cylinder to ensure the breaking of the toughest beads • The bead breaker blade’s shape ensures perfect compatibility with any rim on the market today, and the stroke regulator rules out the risk of crushing the tire • The table top clamping system is quickly adjustable to maximize the opening of the jaws • Equipped with the most compact turntable in its category.